Alexandra Pauls, DVM, completed her undergraduate degree in biology and zoology at Colorado State University in Fort Collins, where she also received her Doctor of Veterinary Medicine degree. During her studies there, she researched novel gait analysis techniques and software. 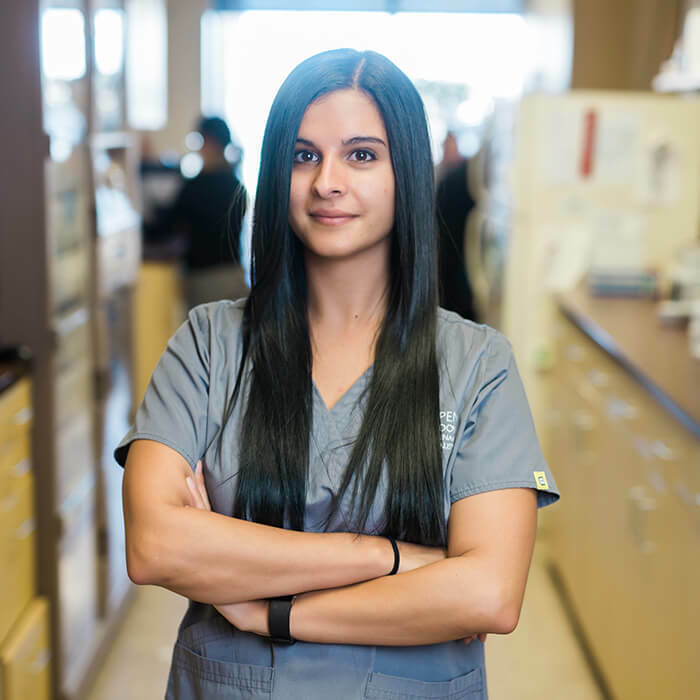 After completing school, she spent one year with Carolina Veterinary Specialists in Charlotte, North Carolina, for a rotating internship, followed by a one-year surgical internship here at Aspen Meadow Veterinary Specialists. Alex joined the Aspen Meadow team full-time as an emergency doctor in 2016. She has a special medical interest in wound management.